Experience Summer Dunsmore's immersive installation In other Words, Other Worlds while sitting down for a delectable feast created by Chef Lalo of Tostadas North Park. You’ll also have the first look at Zaquia Mahler Salinas’ immersive dance film experience, the loneliest part of here is now, in the Community Room. Come experience artistic & experimental filmmaking in the incredible Joan & Irwin Jacobs Theater inside the Museum of Photographic Art for the 2nd year. This 50 min. program of short film will be followed by a discussion with filmmakers & festival curators - addressing audience questions and comments about experimental dance filmmaking. A new first for 40 NORTH – San Diego’s resident dance film festival presents two works of interactive and immersive dance media installation. Artists, Summer Dunsmore, Duke MFA ‘18 & Zaquia Salinas, Saint Mary’s College MFA ‘17 present two distinct works housed in the same building at Art Produce in North Park, San Diego. In the Art Produce gallery (located off of University and the corner of Herman - entrance through Tostada’s) Dunsmore presents a live & interactive video collage with audience as dancer - at times inserting a dance artist into the audience to activate the video environment through movement. In the Art Produce Community Room (entrance on Herman through Chuckalek Beirgarten) local performer Salinas presents a contrasting environment - constructing an environment which brings her projected film to the viewers’ fingertips. 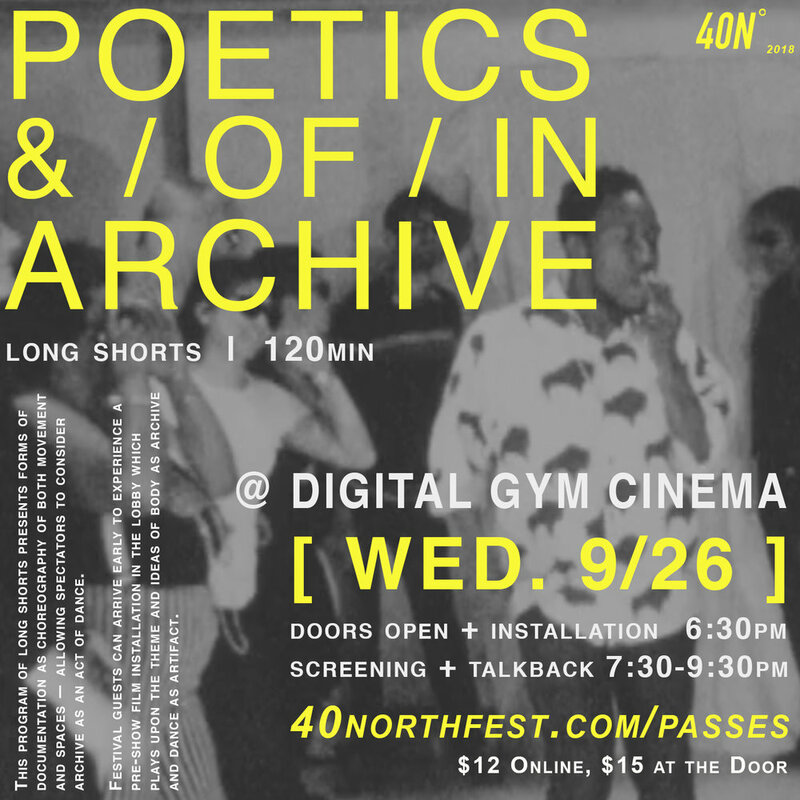 40 NORTH Dance Film Fest is an international dance film festival based in San Diego, CA – programming a wide range of dance films which join multiple disciplines and genres. The 4th annual 40 NORTH Fest will take place September 21st - October 6th, 2018. 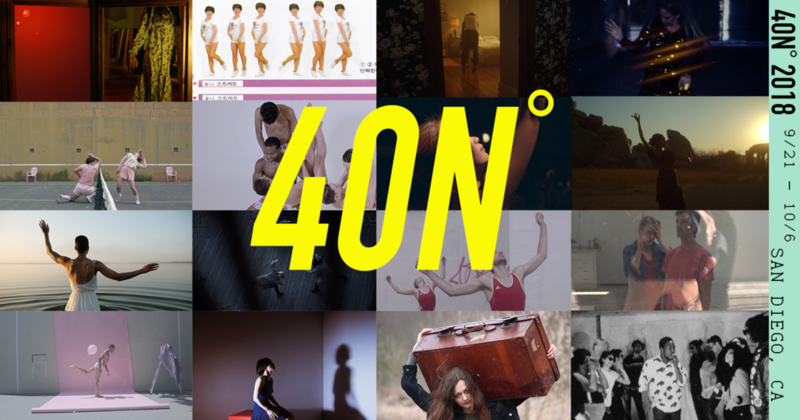 Featuring a visual feast of dance on camera in curated environments and intimate screenings, 40 NORTH is thrilled to showcase a growing number of programs which include: Curated Film Screenings, Immersive Dance + Media Installations, Panels and new Community Workshop + Collaborative Gallery. Create a forum to share the diverse genres of both dance and film, providing a platform for all voices to speak and be heard & a communal space for cross-disciplinary artists and audiences alike.